When the word “Pong” is mentioned, chances are the geek community would think of one of the earliest successes in the world of video games, but the Pong which we are talking about this time around has nothing to do with video games. In fact, it is not even software, but hardware-based. 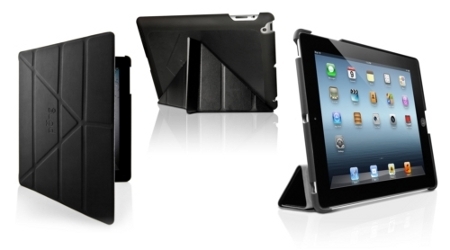 I do know that iPad cases are dime a dozen all over the place, where most of them tend to lean more on the aesthetics instead of concentrating on function, although there are are some companies who churn out the ideal of both form and function. The Pong iPad case is said to be the most advanced of its kind in the world, and this is a claim that certainly needs looking into right after the jump. So your little one has been hankering after you for a new tablet, considering how you do your very best to prevent him or her from coming anywhere near your iPad each time you come home from work? You know the drill – as much as you want to let your kid enjoy some games on the iPad, you know that he is still trying to get his body’s co-ordination right, so walking or running around with the iPad in hand is not exactly the best idea, since a slip of the fingers or a fall would mean a crying child and the very high possibility of a broken display – not something you can afford right now, what with austerity measures being introduced just about everywhere else. Apart from purchasing an old, first generation iPad from someone else, you might as well go all the way and deliver a tablet that has a specific target – the little ones. There is just something about Alvin and the Chipmunks being revived, where their past three movies actually combined to rake in more than $1 billion from box office receipts alone. I know, this is no Avengers, but it is still quite the achievement for a trio of high pitched chipmunks that would make for a decent meal for select jungle tribes out there. 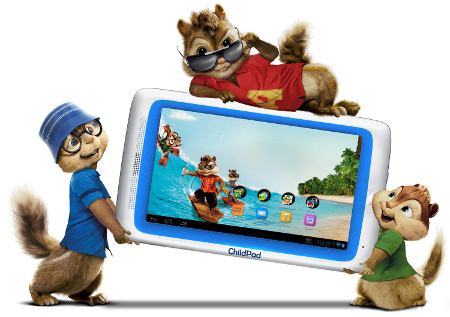 Enter the Archos Child Pad that has an Alvin and the Chipmunks 3 theme in place. Companies will need to constantly reinvent themselves if they were to survive and even flourish – and in the world of high tech devices and gadgets, this saying holds true all the more. Diversifying your portfolio is always a great way to spread the amount of risk, as not all of your eggs are in a single basket. Of course, there is also the flip side to this, as some claim that being a specialist in your field is also a good thing, but regardless, it depends on the context, the chances that come your way, as well as your management of the situation. Having said that, GameStop, a games retailer, has recently announced that they will soon be offering Android-powered tablets to the masses via its massive chain of retail stores. This has been confirmed, with the green light given by the top management after a 200 store trial kicked off since last October. I am quite sure that when you first played Draw Something on the iPad, you must have figured out that the iPad, if it had a properly programmed app, would also be able to double up as some form of Etch A Sketch, a toy that gave you many hours of fond memories as a child. 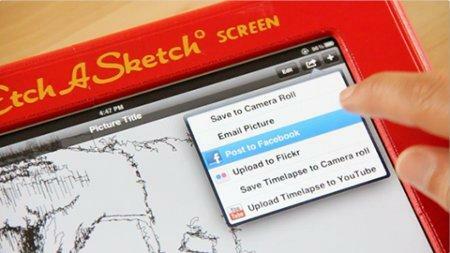 Well, I guess those prayers have been answered, as a Kickstarter project that is looking for the right amount of funding has just announced Etcher – an app for the iPad that has every intention of delivering the Etch A Sketch experience right on the iPad itself. This is more like it – the convergence of the old and the new, merging new technologies with tried, tested and successful ideas. 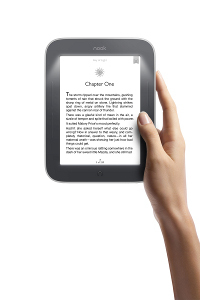 E-book readers certainly have their fair share of fans, although there is still quite a large segment of the population who have yet to endear themselves to these modern day marvels that will carry hundreds of books in the digital format without weighing a gram heavier than an empty e-book reader. Well, Barnes & Noble has certainly come some way with their NOOK brand, and their latest release would be the NOOK Simple Touch with GlowLight. The name itself gives the game away – the Barnes & Noble NOOK Simple Touch with GlowLight which has started to ship ahead of its original schedule is touted to be the first E Ink Reader in the world with patent-pending lighting technology that will do away with problems in the bedroom late at night, especially when someone wants to settle down and read a good book, while the other prefers to sleep – with all the lights turned off. NimbleTV.com – Finally, ALL your TV Wherever you Want It! I love all my iDevices and media players and Smartphones, I really do. If I am being honest though, there are a few things (in my world at least) that being plugged in should get us… like being able to watch TV. You would think that someone, somewhere could come up with a way that I could watch my favorite shows without being charged per episode or having to do all this downloading and converting. So whats a girl to do? Well, NimbleTV has just announced a game changing new subscription-based TV platform that, for the first time, will enable customers to access all of their television from anywhere in the world, on any device. Take a breath, you read it right…customers will actually access their existing subscription TV service using the new NimbleTV cloud-based software and now, they can watch their TV- wherever they are. Read moreNimbleTV.com – Finally, ALL your TV Wherever you Want It! When it comes to the world of tablets, there is none out there which is as popular as the Apple iPad. It has sold millions and millions of devices ever since it was released to the masses, and not only that, it has also been so carefully marketed so much so that a line will form for a new iPad at Apple Stores around the world a few days before the new model is actually released, now how about that? In addition, we have also heard some random bits of news about a teenager in China who actually sold one of his kidneys to raise money to purchase an iPad 2, which is rather sad when you think about it. Well, other manufacturers have failed to come close to what Apple has done with the iPad in terms of sales figures as well as popularity, not to mention ease of use, although I must say that Samsung has bridged the gap quite a bit with their Galaxy Tab range over the past couple of years. It is basically iOS vs Android on the tablet front, until Microsoft does something about their Windows 8, of course, and the latest Android-powered tablet to be introduced would be the Ematic eGlide Prism. When it comes to digitizer tablets, we more or less have heard of the name ‘Wacom’, and it has certainly stamped its mark in the digital artist category to date with their stable of quality accessories and peripherals. Well, since they are involved in tablet devices (of sorts) for quite some time already, it makes perfect sense for Wacom to diversify their range of peripherals by coming up with the Wacom Bamboo Stylus duo. Just what does the Wacom Bamboo Stylus duo do in your possession? For starters, the name itself drops a hint of it being a new dual-purpose stylus, targeting the millions of iPad and Android-powered tablet owners out there (PlayBook owners qualify too, but just what percentage of the tablet market is snapped up by the BlackBerry PlayBook?) with a proven capacitive pen tip for on-screen input at one end of the Stylus.